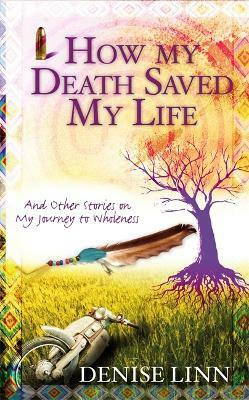 How My Death Saved My Life is the remarkable story of author Denise Linn. In this triumphant autobiography, Denise speaks with a compassionate yet fiery conviction, born of deep pain, as she describes overcoming the horror of an abusive childhood and the terror of being stricken down by a sniper's bullet. Left for dead, the seeds of Denise's miraculous recovery and spiritual epiphany were in this moment. From the mundane to the mystical, follow Denise's inner and outer journeys as she grows up in various homes from a renovated chicken coop, to abandoned army barracks, to the slums of Chicago, to an Ohio farming community. Travel with her as she is fired on by a plane in Yugoslavia, is tear gassed during anti-war riots, explores the sexual revolution in the 60s, lives in a Buddhist monastery and travels to native cultures to become one of the worlds most sought after speakers and a bestselling author.